(Medora, ND) – The Theodore Roosevelt Medora Foundation is excited to announce the 2017 Featured Variety Acts of the Medora Musical. For decades, world-class variety acts have been a part of the 52-year-old Medora Musical. 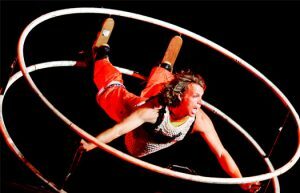 Performers from around the globe have offered family-friendly entertainment as a part of each year’s musical production — with everything from comedians and dancing dogs, to juggling troupes, Chinese acrobats, and daredevils on bicycles taking the stage during the second half of each night’s show. Playing By Air captivates audiences with a joyful fusion of music, juggling, and circus performance where traditional theatricality meets absurd comedy. 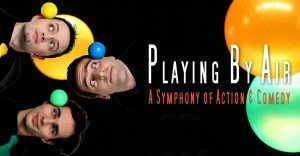 The award-winning performers of Playing By Air share their sense of playfulness and breathtaking feats in a production enjoyed equally by adults, families, and children. Audiences are drawn into the performance with a contagious attitude of expressive play and creativity. 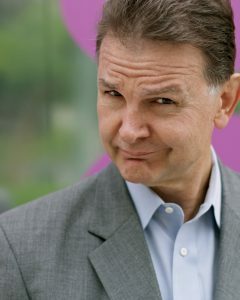 John Cassidy is a professional comedian, magician, and balloon artist who holds several Guinness World Records® for balloon sculpting speed. A featured guest on Late Night with Conan O’Brien, Martha Stewart Living, The Weakest Link, NBC’s Today Show and more, Cassidy is also a frequent performer aboard Disney Cruise Lines and has been honored to perform at the White House five times. 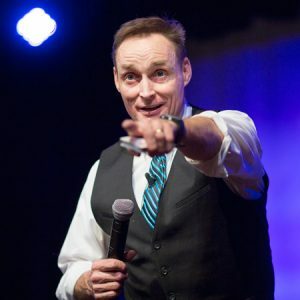 He’s entertained around the world and brings an original blend of clean comedy, fun magic and amazingly intricate balloon feats — feats that adults and kids alike will love! AntiGravity®, America’s premiere aerial and acrobatic company, has been inspiring audiences with their high-flying performances around the world since 1990. The Team AntiGravity roster includes Olympic and X-Games athletes and movement artists whose talents defy the laws of physics and stretch the limits of human achievement. Recognizing unexploited territories for aerial performance within the realm of niche entertainment sectors, Founder Christopher Harrison (Broadway dancer and world-class gymnast) combined his knowledge of cutting-edge acrobatics, popular culture trends, and his passion for merging athletics and aesthetics into fresh choreography. AntiGravity has created original pieces for: The White House (Obama Inauguration), The U.S. Olympic Committee (2002 Games), Bill Gates, and has performed at The MTV Video Music Awards at Radio City Music Hall, The Academy Awards, The Grammy Awards and the Opening for the Macy’s Thanksgiving Day Parade. Dan has opened for such superstars as Jerry Seinfeld, Natalie Cole, Dwight Yoakum, Smokey Robinson, and Vince Gill. In a testament to the class of his act, he even opened for the San Francisco Symphony. The 2017 Medora Musical and Pitchfork Steak Fondue open June 2.